Constitutional scholar Randy Barnett previewed his forthcoming book, Our Republican Constitution, during the third annual Liggio Lecture at Atlas Network’s 2015 Liberty Forum. During Atlas Network’s Think Tank Shark Tank Competition, four graduates of Atlas Leadership Academy compete for a Rising Tide Foundation sponsored $25,000 grand prize in a showcase of the worldwide freedom movement's most exciting new projects. 2015 marks the would-be 100th birthday of Sir Antony Fisher. 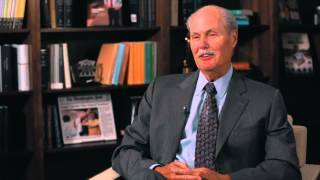 In this short interview with Chip Mellor, President and General Counsel of the Institute for Justice, he discusses how Fisher’s irrepressible and charming approach had a lasting impact on his career. 2015 marks the would-be 100th birthday of Sir Antony Fisher. 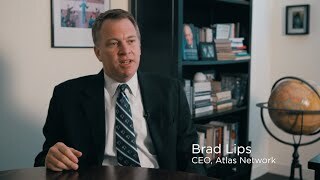 In this short interview with Atlas Network CEO Brad Lips, he discusses the idea that Fisher stressed: that we need to win intellectual battles for freedom today to set up the conditions for future policy victories.